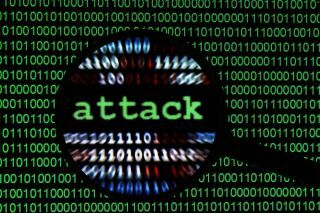 New survey reveals impact of cyber attacks and breaches on UK businesses and charities. An official survey from the government has revealed that one in five charities and nearly half of business in the UK have fallen victim to a cyber security breach or attack in the last year. The 2018 edition of the Cyber Security Breaches Survey detailed how organisations of all sizes are at risk of being targeted by hackers and fraudsters and for the first time the survey examined the impact on charities. The survey found that 19 per cent of charities and 43 per cent of businesses had reported experiencing either cyber attacks or security breaches within the last 12 months. This means that seven in 10 large businesses (72%) and 73 per cent of charities, with incomes of £5 million or more, fell victim to either a cyber attack or security breach last year. Malware, viruses and fraudulent emails were behind a majority of the attacks that led to businesses and charities losing files, having their software or systems corrupted, intellectual property stolen or having their websites either slowed or taken down completely. The report also revealed that charities typically incur no specific financial cost from cyber security breaches though when breaches do result in a “material outcome”, the costs can be quite significant. The Department for Digital, Culture, Media and Sport's study found that the average financial impact was £3,100 for businesses and £1,030 for charities. With GDPR set to go into effect very soon, businesses and even charities must take action to protect themselves and their data online.